Halloween has a justly earned reputation for spookiness or scary happenings. Monsters, goblins, and ghouls are an indispensable part of the holiday. It’s the only time of the year when a front yard graveyard is seen as fun and whimsical, not intimidating or peculiar. Still, even given all the fun of being scared at haunted houses or watching terrifying horror movies for entertainment, not all scares are fun. And, there is a truly terrifying specter out there that shows itself in full force every October. It’s the specter of sugar driven tooth decay. Trick or treating can be a lot of fun, and we appreciate the generosity of our neighbors as they dispense treats to the cleverly dressed superheroes, monsters, and royalty. Those who do not trick or treat are still likely to find themselves at sugar laden treat tables at Halloween parties. While delicious and fun to eat, those sugary treats may be reeking havoc with your teeth. 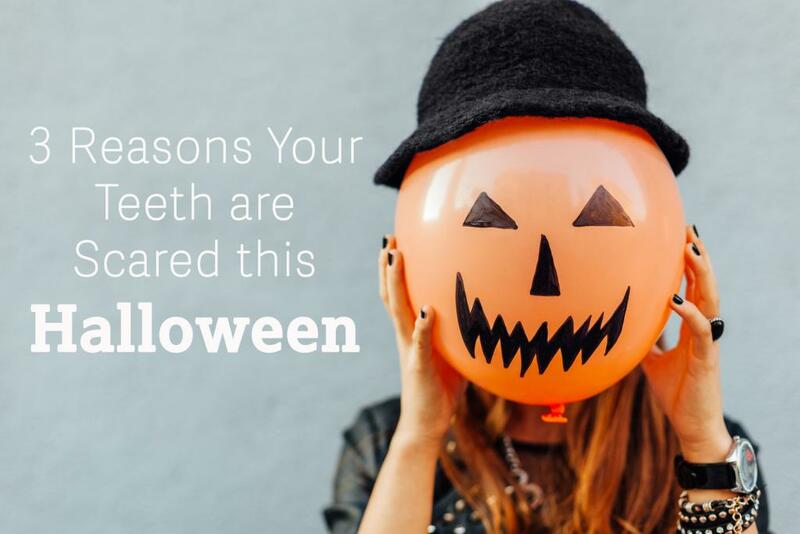 Cavity causing bacteria are feasting on candy with you. Your mouth has a biofilm–a coating made up of various single-celled organisms that live in your mouth. Some of those bacteria are harmful and cause cavities when left unchecked. Unfortunately, those bacteria thrive on the simple sugars than candy paints all over your teeth when you consume it. It’s important not to overfeed the bacteria that mean your teeth no good. 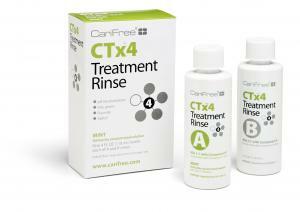 Tame the beast: CTx4 Treatment Rinse has bad bacteria killing power. Consider using it if you and your dentist find you have a biofilm with a high bacteria count or when your diet presents a danger of letting the bacteria overgrow. Acidic environments caused by consuming sugars strips minerals away from your teeth. When you eat, your mouth becomes more acidic to help you quickly digest your food. Unfortunately, this acidic environment is perfect for dissolving the minerals that make your tooth enamel. Normally, your mouth has time to recover between meals and those minerals, aided by the fluoride from your morning and evening tooth brushing, redeposit on your teeth. If frequent snacking (and those tiny candy packs do everything they can to encourage frequent snacks) causes the mouth to stay acidic, those minerals can be lost, resulting in a hole in your enamel, also known as the dreaded cavity. Slay the specter–Restrict yourself to sweet treats with your regular, well-spaced mealtimes. If you need to pop a sweet between meals, brushing immediately after may scrub away the minerals before they can redeposit. Instead, try swishing plain water to restore a healthy pH faster. You might also try chewing CTx2 Xylitol Gum, which has no sugar and stimulates saliva, your body’s natural tool for restoring a healthy pH. Added sugar has been shown to cause inflammation, and that can be a real problem for your gums. Gum disease is an inflammatory process. If your gums are already stressed by gum disease, and studies have suggested that half of adults over 30 have active gum disease, the last thing you want to do is increase inflammation in your body. Sugar has been closely associated with inflammation. Drop the demon: Keep your gums healthy with a good daily oral care routine and regular dental visits. CariFree Kits contain a three month supply of products designed to aid you in your quest for peak oral health.